Maximalism is the on-trend interior decorating style based on authenticity, experiences and narrative. Read on to discover what those terms mean and how Maximalism can help you create a home that truly reflects who you are. Maximalism is personal. Maximalism reflects your stories. Maximalism is similar to “experience design” in public spaces where architects and designers prioritize how we experience a space to ensure we have positive emotional and aesthetic responses and feel comfort, curiosity, and well-being while we are in the space. No two people create the same Maximalism look. Styles like Mid-Century Modern or Scandinavian design (or Nordic décor) rely on white or gray walls and specific furniture and decorative arts. The rooms are beautiful but they look broadly similar from home to home. Maximalism on the other hand differs distinctly from one designer to the next. Maximalism usually features bold wallpaper or color saturated walls and bold textural rugs on the floor or draped across sofas or hung on the wall as tapestries. A famous example of a Maximalism lover is Alessandro Michele, Creative Director of fashion brand Gucci. Not only has he used Persian rugs on his catwalks, but his office and home are full of antique furniture, flea-market finds, and bold vintage rugs. Maximalism is not “clutter”. Maximalism is curated and considered. Maximalism may appear “cluttered” to those who prefer minimal style or have succumbed to a Marie Kondo clear-out, but to high-end interior designers Maximalism is a carefully thought out process of “undesign” where nothing “matches”. If you’re worried your choices “clash” follow the advice of Maximalist New York interior designer Fawn Galli who advises people to “clash it up!” But if you’re still unsure about a multitude of disparate design elements, follow renowned interior designer Alexa Hampton’s tip to unify your disparate design elements by sticking to one or two color groups. How Do I Create Maximalism In My Home? Maximalism is about abundance, layered objects, texture, and the magic of stories. Abundance doesn’t mean you have to spend lots of money to get the look. In fact often the opposite is true. The number one rule of Maximalism is authenticity. Choose objects that are personal to you and your life or express the life of your “alter ego”. Mix inexpensive, free, or thrift store vintage objects with carefully selected “anchors” like furniture and handmade rugs. Rugs are a key item of a Maximalism look for the simple but important reason that they occupy a significant percentage of your room. Rugs provide the texture and layering that is so important to the Maximalism style. Rugs can be vintage or new. 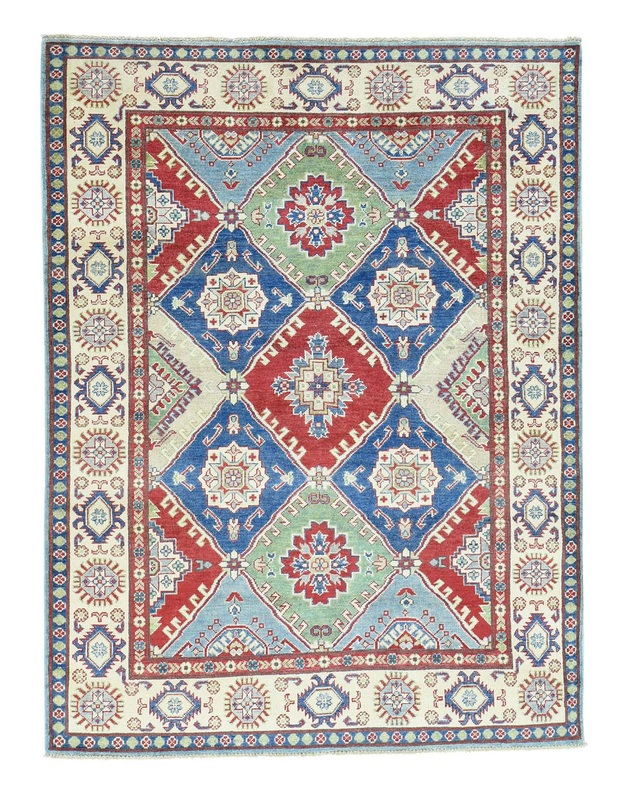 Vintage rugs may sound expensive, but 1800GetARug stocks very affordable vintage hand-knotted and hand-woven rugs including vibrant tribal rugs that allow you to layer smaller rugs over room-sized rugs to create a Maximalist experience. If you prefer new rugs, then consider our Transitional rugs. We switch-up traditional rug designs with pattern changes, enhanced texture and contemporary colors to create new looks that fit right into a Maximalist room. 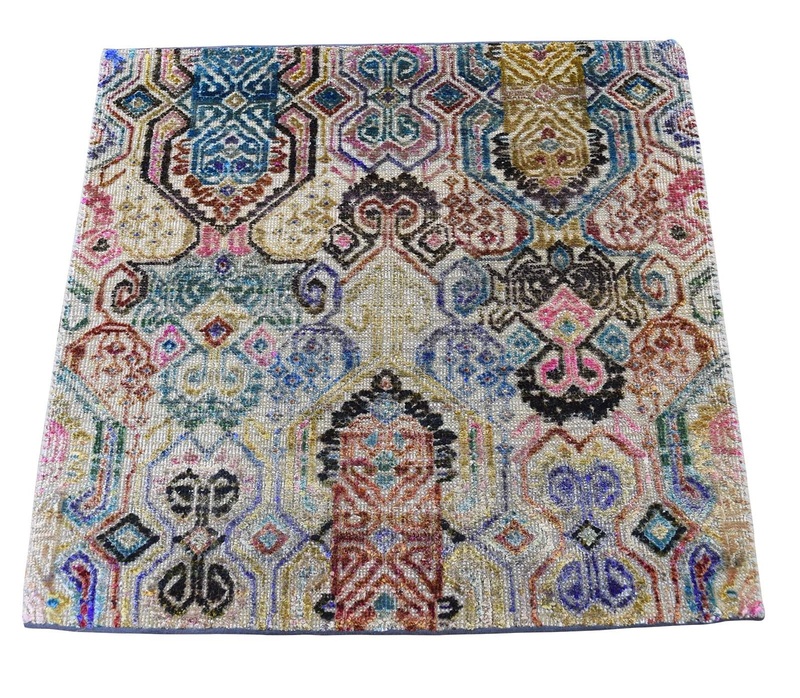 Vintage tribal rugs are affordable and bold and fit right into Maximalism style. Chances are good that a reputable rug dealer like 1800GetARug will know the country, region, and sometimes even the city where the rug was hand-woven or hand-knotted. Most of the vintage pile and tribal rugs we sell at 1800GetARug have historical patterns with stories behind them. Layer rugs in your room. Consider placing small contrasting rugs atop a room-sized rug. If you’re unsure how that will look, 1800GetARug stock very affordable small “strike-off” samples of no more than 3 square feet. Sample rugs are a great way to dip your toe into the possibilities of Maximalism. You can experiment with colors or patterns, or even display a few on a wall as a unique wall hanging to layer in texture and depth to your room. Prefer new rugs? Then look at the many transitional rugs we stock at 1800GetARug all of which capture the concept of vintage woven stories in new fibers and colors. Also consider rugs from our Oxidized Collection. These hand-knotted wool and silk rugs have hi-low pile designs created with our unique oxidation technique. The result is a highly textural rug that adds to Maximalism style.